Essential oils have plenty of uses—from health and stress management to skincare! 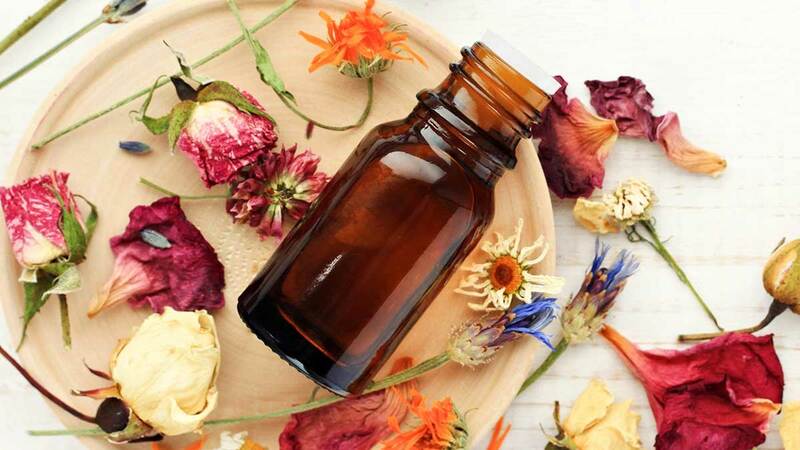 While you’re probably already familiar with essences and beauty oils, there’s another trendy elixir that should be on your radar: essential oils. Similar to other extracts, essential oils or EOs are scented liquids obtained from plants. What makes them different is that they are extracted through natural ways; this means their potency is kept unlike oils created through chemical processing. EOs are mostly used in two ways: aromatic diffusion and topical application. When I first heard about topical EOs, what came to mind were the traditional ointments Pinoys use. I thought, how different could those oils be from Katinko, white flower oil, and efficascent oil—the stuff that our titas and lolas swear by? And it’s not just anecdotes and hearsay—some studies have found that essential oils can be beneficial to a person’s health. For instance, a study by authors from Cleveland, Ohio concluded that “chamomile can help in improving cardiovascular conditions, stimulate the immune system, and provide some protection against cancer,” although further clinical trials are needed to refine the findings. Another study by an author from the University of Minnesota also discovered how the inhalation of essential oils—particularly lavender—can be therapeutic for people with mild sleep disturbances. EOs are usually blended to work best for headaches, colds, sleep troubles, stress, and other problems. For instance, there’s a blend of wintergreen helichrysum, clove, and peppermint called PanAway® that helps relieve muscle and joint pains. There’s also a DIY blend that a lot of EO users rave about called the LLPFC, which stands for lavender, lemon, peppermint, frankincense, and copaiba. The combo of potent EOs is said to help in a bunch of problems like breakouts, fevers, and infections. They have beauty benefits, too! Some oils like grapefruit, lavender, and melaleuca (aka tea tree) have cosmetic properties. They can be applied directly if you don’t have sensitive skin, but most users recommend mixing just a small amount into your cleanser, toner, moisturizer, shower gel, or body lotion. Other EOs like ylang ylang and sandalwood can also be used to keep your locks shiny. You can add a few drops in your shampoo and conditioner to enjoy the benefits daily or dilute the EOs in coconut oil for a weekly hair treatment. Fair warning, though: Always do skin tests before applying the elixirs or the infused products onto your face and whole body! Spare yourself from rashes, breakouts, and scary allergic reactions. They can even be a lucrative source of income. Buying bottles of the pure oils will be a serious investment. 15-mL bottles from the most reputable suppliers like doTERRA and Young Living cost around $13.33 to $60 (P675 to P3,050—international shipping costs not included). The rarest oils like sandalwood, frankincense, and melissa even cost as much as $80 to $180 (or around P4,050 to P9,100)! But there are also local groups you can join for stocks and classes, like doTERRA Oils, Philippines. So if you think it’s a venture worth exploring, go ahead and blend. Disclaimer: Always consult your doctor first before using EOs. While these oils could work wonders for some people, others may not react the same way, so it’s best to stay on the safe side of things. EOs aren’t miracle cures, too, so don’t immediately switch from your prescribed medicines or therapies, and exercise caution when combining EOs with your treatments. Also take note of the usage instructions from sellers! Don’t be tamad to read labels, girls!